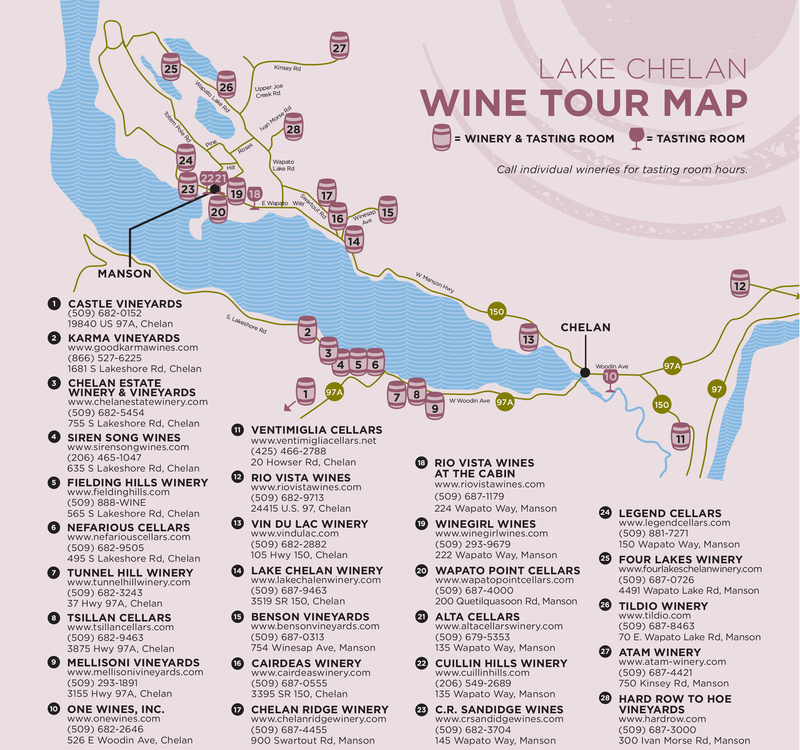 Use these pages to plan your wine tasting around Chelan and the Columbia Cascade wine region. 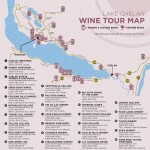 You will find both Chelan wineries and tasting rooms here – with maps and directions to most. Going for a drive? Here’s a printable map of the region’s wineries. Plan a for a day or two in Chelan as you tour the Cascade Loop. Benson Winery is a Mediterranean-inspired estate winery overlooking Lake Chelan. No other wine region in the world possesses the stunning natural beauty and play time options of the Lake Chelan basin. Caideas Winery believes that wine should be shared with friends, come share their passion. Chelan Ridge winery and vineyard situated along the picturesque North Shore of Lake Chelan in Manson. Visit Karma Vineyards along the South shore of Lake Chelan. Okanogan Estate & Vineyards is located just 5 miles from the Canadian Border. Tasting Patio at Tildio Winery. Come and enjoy views of the vineyards. Atam Winery (closed permanently) was one of the few estate wineries in Washington State.